Get organized, and the amount of space that's really inside your reach-in closet will probably surprise you. That's what closet solutions from the Closet Works can do. Have you ever noticed how the same laundry that overfills a basket when rumpled and dirty takes up half as much space once it's neatly folded? That's a good example of organized versus disorganized. Maybe it's not what you've got, but how you're storing it. To that end, here are four ways to maximize your space and finally love your reach-in closets -- no matter how small. Drawers inside a reach-in closet? Is there enough space? Probably. You don't need a sea of drawers, and they don't have to be as deep as those inside a freestanding dresser. We custom build the drawers for your space, so they're guaranteed to fit. Once you have a few (or several) drawers, many smaller items can tuck neatly away inside instead of taking up space on a hanging bar. Add smart drawer dividers, and you'll find what you're looking for quickly. If you hang your clothes haphazardly on the closet rod, you're missing out on important square footage. Hang short clothing, such as skirts and shirts, on one end of the bar and leave longer things for the opposite end. That way, you'll free up floor space under the short clothing for shoes, boxes or a suitcase. You might also condense shorter clothing with two hanging bars, one over the other. Install the second one high and almost out of reach to avoid crowding. When you need a jacket or top that's hung up high, use the handy lowering rod to bring the whole bar down to eye level. Then raise it back up and out of the way once you're finished. Some homes, especially those built before the mid-20th century, have smaller closets. 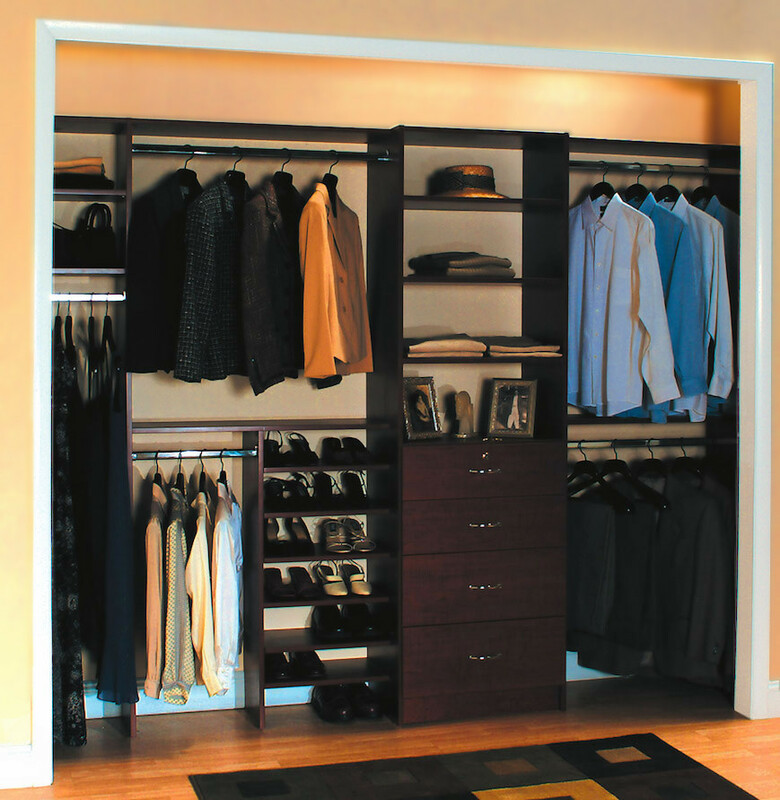 While great closet systems do make a great closet, there's a limit to what they can accomplish. 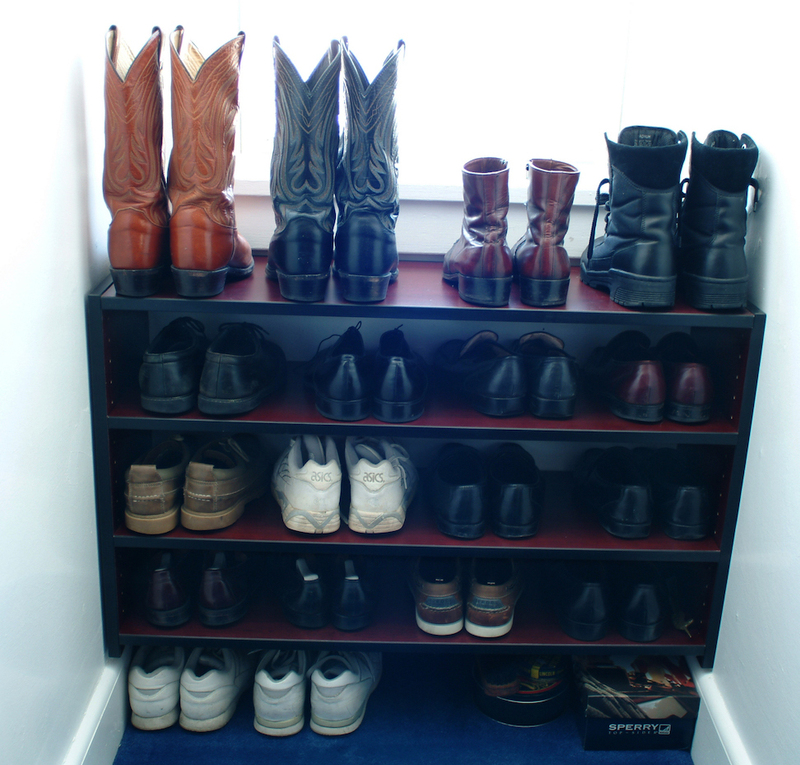 If you have a lot of shoes and no place to store them, try thinking outside the closet with shelves or cubbies. Shoes piled on the floor look messy. Plastic organizers on the back of the closet door crush everything together when the door is closed. But moving shoes elsewhere might solve everything. Consider shoe storage under the bed for out of season footwear. Add a stack of shoe cubbies or shelves on a wall or in a niche beside the closet to keep footwear organized and within easy reach. To expand on the idea of external storage, have you ever considered a wardrobe? The tiniest of closets get a real boost with support from a separate clothing storage unit. It adds a lot of freedom, too. You're freer to design a wardrobe that fits your needs instead of the predetermined confines of the closet. Large, medium or small, the extra storage space you'll gain combined with the beautiful look of fine furniture can solve a lot of storage hassles. 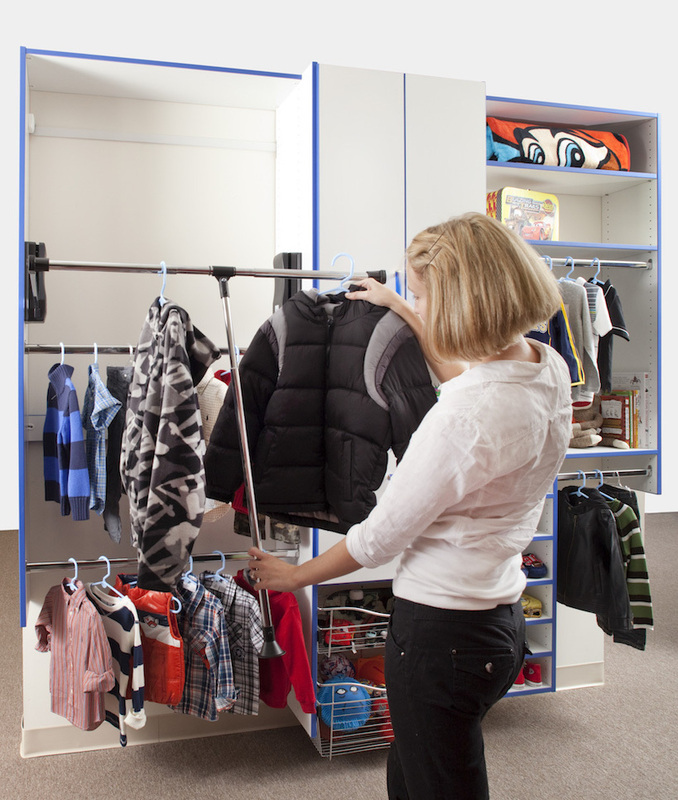 Reach-in closets are inherently small and shallow, making it difficult to store all of your things efficiently. But the right storage components and accessories trim down everything without crushing your clothes and shoes together. Instead of marginal storage that barely gets the job done, you'll have smart storage that really works. The Closet Works is committed to designing, building and installing high-quality closet systems that are more affordable than you might imagine. Our designers consult with you to create something that not only fits and looks beautiful, but works the way you need it to. Schedule a free design consultation today and learn all about it.